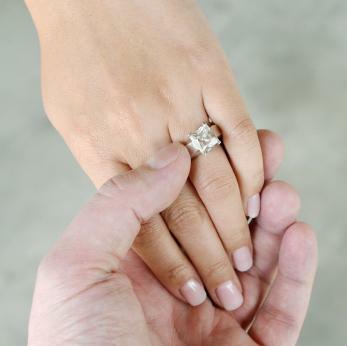 An engagement is a happy event that deserves to be celebrated with family and friends. Try adding a little extra flair to the announcement by including a poem or short verse to help express the joy of the occasion. Whether it's long or short, a poem can make a wonderful prelude to the specifics of the actual engagement announcement. You can print the poem on the front of the card, or include it on the inside ahead of all the details. 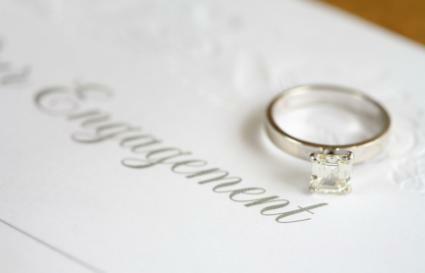 Traditionally, the parents of the bride and groom-to-be announce the engagement and throw the couple a party. The following verses work well in this situation. And (Name) joyfully said, "Yes!" And we want you to be our guest! And they no longer feel hollow. Fulfilling each other's every need. And all that this implies. And look at love fresh through their eyes. Sometimes a couple prefers to announce their engagement themselves. Here are several poems written from their prospective. Our two lives as one. And we hope that you will come. We want to confirm it's true. So we're announcing it to you. So we can share our happiness. So won't you please be our guest? Made in Heaven up above. One of us said, "Marry me." The other one said, "Yes." and we feel so truly blessed. To celebrate love and have fun! A more playful poem can provide the perfect announcement for a couple that has a great sense of humor. Here are a couple of examples. For better or worse, together for life. Though marriage will certainly test our mettle. Because we finally plan to say, "I do." We suit each other to a T.
So wish us good luck! If a full poem seems like too much and you want something that's a little more direct, an announcement verse might be just what you're looking for. Some rhyme and others don't, so you can pick the style that suits you best. An engagement is, by definition, a romantic moment. We knew this joyous day would come. Who have found the love they have been seeking all their lives. Take my hand. I give you my heart. From this day on, we shall never be apart. Samantha and Jack have wedding news to share. In a few short months, we hope you will be there. One day, we will look back on this moment as the turning point in our lives. Our hearts are full of love today as we announce the engagement of Samantha Green and Jack Simpson. Agreed to join their hands and unite their hearts forever. Casual verses can rhyme or not, depending on the mood you'd like to set. They typically come from the bride- and groom-to-be, but parents of either party can also use them to share the news. He asked, and she said "yes!" Soon we'll invite you to be our guest! Are excited to share the news of their engagement. But there's only one that's perfect for me! Samantha Green and Jack Simpson are engaged! We're excited to announce that Samantha and Jack are engaged! Two years ago, Samantha and Jack's love started with a kiss. Someday soon, they'll be enjoying wedded bliss. Formal engagement verses are less likely to rhyme than their casual counterparts, and they are usually written from a third-person point of view. That they are engaged to be married. Announcement verses written my Kate Miller-Wilson. Whether you're the one who is getting engaged or someone making the announcement on behalf of the loving couple, make sure the poem you choose expresses the joy of the occasion. 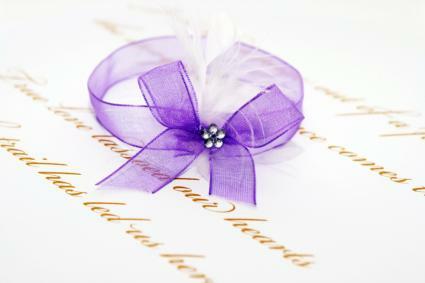 The right poem or verse can set the tone for the entire announcement, as well as the engagement party to follow.